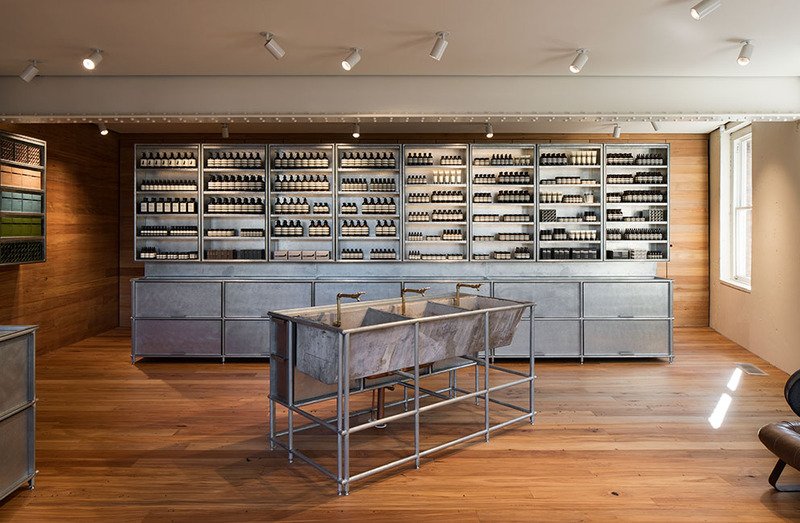 Legendary skincare name Aesop’s first New Zealand store officially opened on Tuesday night in Newmarket, Auckland and good god she is beautiful. I was unable to attend official proceedings due to being fresh out of hospital, but a sneaky reccy I did prior to my surgery filled me with awe and delight. Aesop is not your regular high-end skincare company. 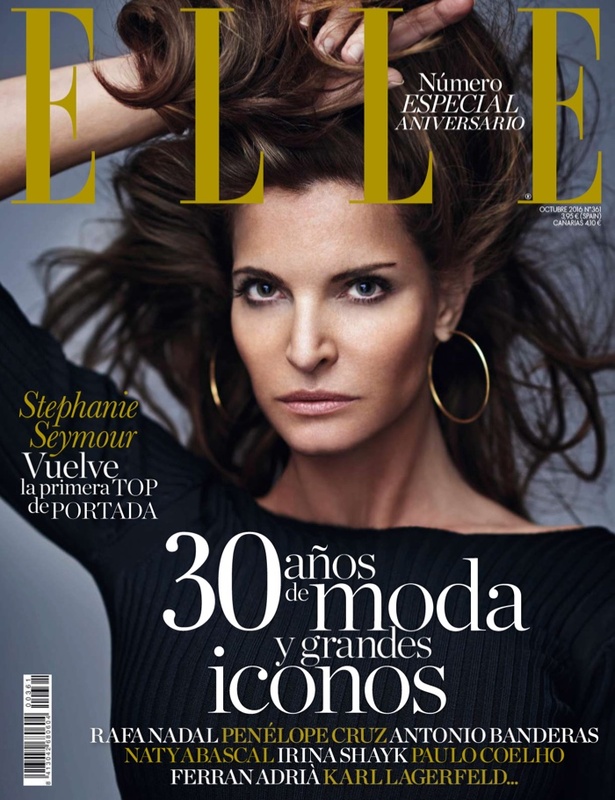 There are no big promises, no celebrity endorsements, no glossy packaging and no advertising. As a brand, they are committed to celebrating science by integrating both plant-based and laboratory-made ingredients, and the efficacy of their product formulations is world renowned. An interview with Aesop General Manager of Retail and Customer Relations Suzanne Santos told us “you need a blend of well-chosen man-made ingredients with exceptional botanical ingredients to make remarkable products”, and I personally have never met an Aesop product I didn’t like. I first encountered the brand many years ago on a trip to Sydney and after washing my hands with their premier luxury soap, I was irrevocably hooked. Aesop’s blend of science and nature slaps aside the ridiculous hyperbole that defines much of the beauty industry. All of its products are paraben-free and largely ‘botanical’, drawing heavily on antioxidant-rich parsley-seed extract. Its trademark, apothecary-style brown-glass bottles keep ingredients fresh for longer, and just feel so right in my bathroom cabinet in the most understated way. 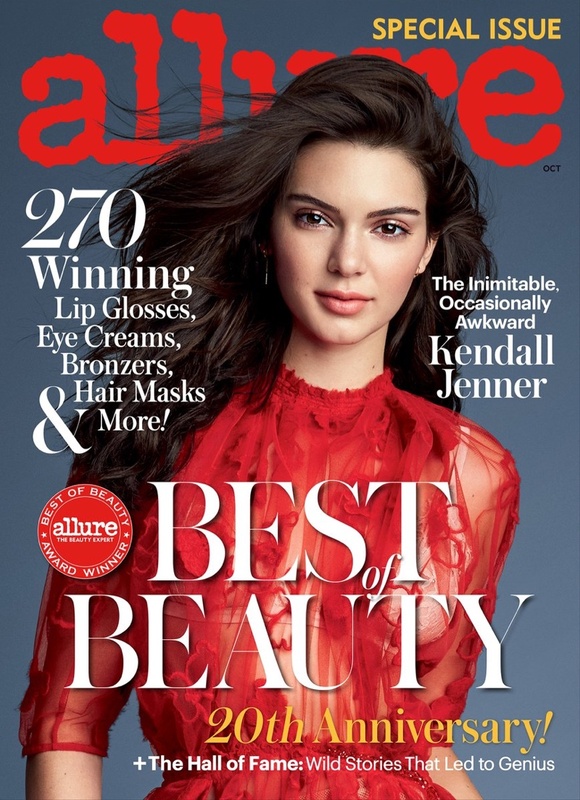 The less-is-more approach appeals to the type of consumer who doesn’t need fruity surroundings and overbearing retail staff to tell them what is wrong with their skin, but those who are happy to pay slightly higher prices for authentic top-quality products that just make you feel good – and work. Created in collaboration with Patterson Associates, the new Newmarket retail space was inspired by the region’s architectural heritage and is a haven in the madness that is the popular shopping precinct. The interior echoes the raw simplicity of a traditional New Zealand washroom or old school bach or holiday home. Recycled Rimu timber folds up the walls, creating a refined version of the horizontal boards found in early colonial washrooms. Similarly, large windows prompt an immediate relationship with the exterior, allowing an abundance of natural light and fresh air to filter through the space. As an ode to the domestic ritual of washing that is integral to Aesop’s philosophy, a large concrete tub sits as the centrepiece of the interior. 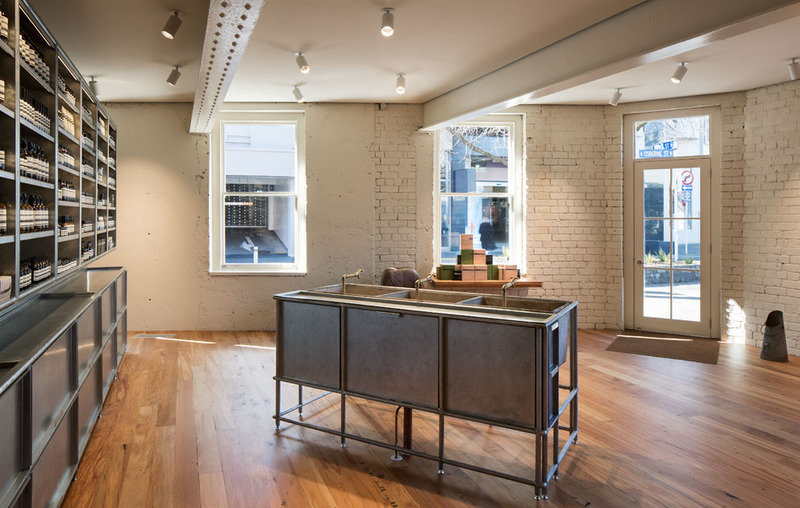 The shelving surfaces are reminiscent of oven trays, subtly paying homage to the site’s original use as a commercial bakery. Clients can explore and select from a complete range of skin, hair and body care products, distinguished by botanical and laboratory-generated ingredients of the highest quality. The store’s trained consultants are able to offer advice about products best suited to individual needs and like the brand, are intelligent, informed and delightfully understated in their approach. In other words: the new Aesop space is a winner, and I look forward to becoming a regular. Their latest releases are some of my favourites yet, and are set to be on high rotate over the coming months due to the layers being shed as the temperature rises. They come as part of the recently re-launched Trilogy Body range, which has meant a sleek new look for their existing body prods along with the introduction of a couple of killer newbies. NATRUE certified natural products, Trilogy Pure Plant Body Oil and Trilogy Exfoliating Body Balm are an absolute joy to use, and by god I have given them a thrashing since they first came across my desk a few weeks’ ago. At just $29.99 for an 110ml bottle of goodness, the new Pure Plant Body Oil is one of the most luxurious body oils I have ever used – and I am a BIG user of body oils. Designed for every day, all-over use, it is an unscented, silky as oil that glides on to hydrate, nourish and improve skin health. With Trilogy’s signature rosehip oil to repair and hydrate, sweet almond oil to stabilise the natural pH of the skin and apricot oil to soothe inflammation, it is a simple formula but one that works. A great natural alternative to the more common petrochemical-based body oils, Trilogy Pure Plant Body Oil is ideal for use throughout pregnancy and on scars, and the fact that it is fragrance-free makes it both perfect for those with sensitive skin and a great option for regular perfume wearers as won’t mess with any fragrance you apply before leaving home on top. I have found that it absorbs super quickly on my post-surgery, super dry skin, and I think it will be brilliant for using after days at the beach over the summer months too. The second new release is Trilogy Exfoliating Body Balm, which is a NATRUE certified natural body polisher that leaves skin silky- smooth, hydrated and glowing. Buttery-textured and perfect for use in the bath or shower (although be careful as it can make the surface of a bath a little slippery), it uses finely ground rosehip seed powder as a natural exfoliant. A rich blend of rosehip oil, sweet almond oil and beeswax are also in there to nourish, soften and protect skin, while the seed powder gently buffs and refines skin texture without compromising the skin’s natural barrier function. Another brilliant example of an innovative, biodegradable, ocean-safe alternative to plastic microbeads, the powder is ground from the solids which remain after the seed oil extraction process, making good use of a by-product and thereby reducing waste. Perfect! It is also delightfully un-messy to use, unlike some body scrubs etc which go everywhere no matter how carefully you use them. I’ve been using this combo twice a week and have to say that my skin is really starting to turn up the glow – bring on bare leg season I say! Designer Erdem Moralioglu trained at the prestigious Royal College of Art in London and is known for his use of experimental textiles, vibrant prints, and detailed craftsmanship. 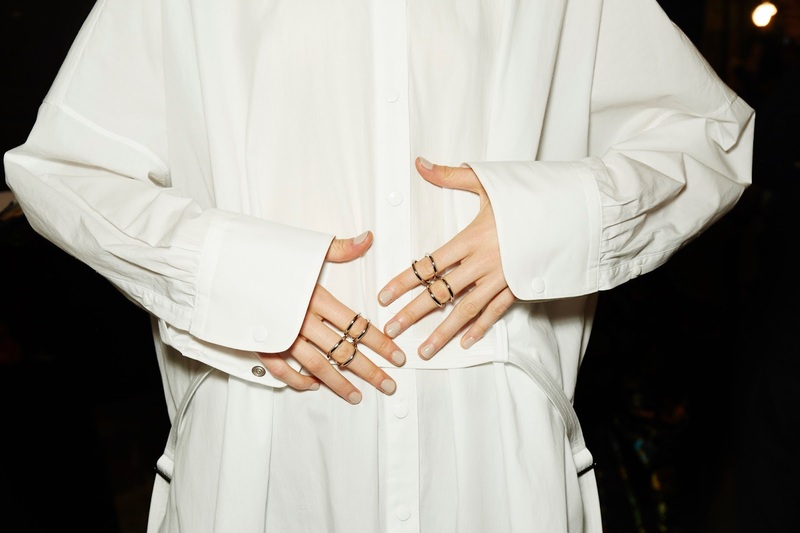 He has created a beautiful world of the delicate mixed with the bold, and his latest collection – reportedly inspired by a 17th-century dress found in a shipwreck and the free-spirited 1920s – was absolutely alluring, the stuff that dreams are made of. Iconic hair styling brand ghd partnered with designer Erdem and session stylist Anthony Turner to create a hair look to complement the S/S 2017 collection, and it was as beautiful as the clothes themselves. “The Erdem girl is always on a journey and this season she’s from the 16th century and has been at sea,” said Anthony Turner, “so she’s sporting wispy, shipwrecked braids”. Anthony first applied a salt spray to the hair to create a matte texture before blow-drying hair using the ghd air hairdryer and fingers. A beachy wave was then created by wrapping sections of hair around the ghd curve classic curl tong, before pulling hair into two pigtails at the base of the neck. Both pigtails were braided and loosely deconstructed before being crossed over and secured flat around the nape of the neck. A simple piece of matte black ribbon was tied around the hair to form a bow at the side to finish the look. “The hair has a soft, romantic feel; it is not too considered or elaborate,” said Turner of the finished look, which he added would “translate well into wedding hair”. 1. 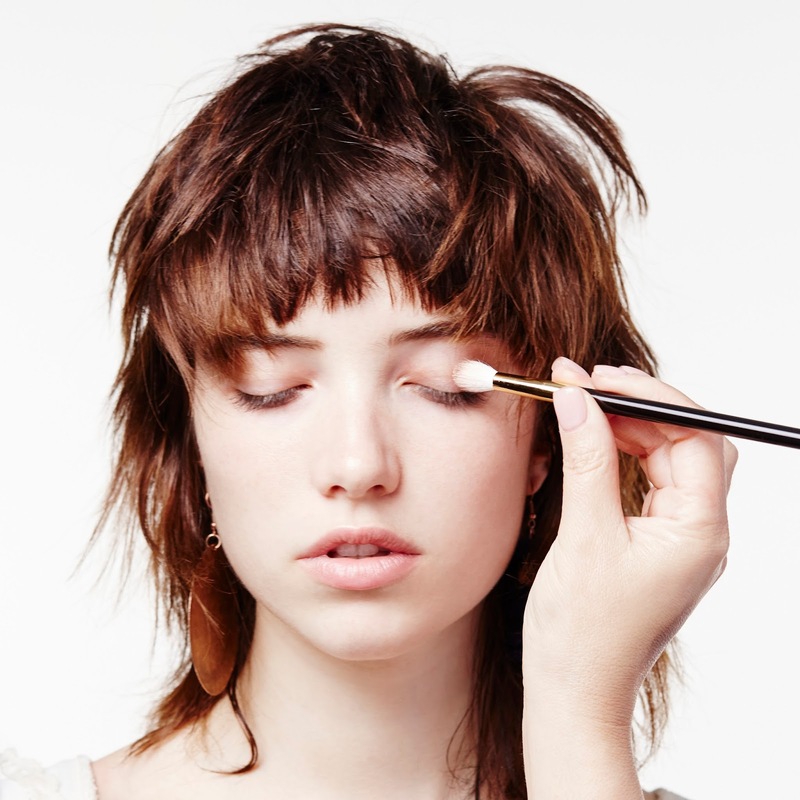 Prep with a salt spray before blow-drying hair downwards using a ghd air hairdyer and fingers. 2. Loosely curl hair in different directions with the ghd curve™ classic curl tong. 3. Use the ghd tail comb to create a middle parting, then secure hair into two separate ponytails at the nape of the neck. Tie with elastic. 4. Braid each ponytail and then loosely dishevel with hands to give the braids a deconstructed texture. 5. Cross the braids over and pin flat against the nape of the neck. They must stay flat to the head and not create a bulky silhouette. 6. Gently pull out sections around the hairline before wrapping a matte black ribbon around the hair and underneath the braids, securing in a bow at the side of the head. 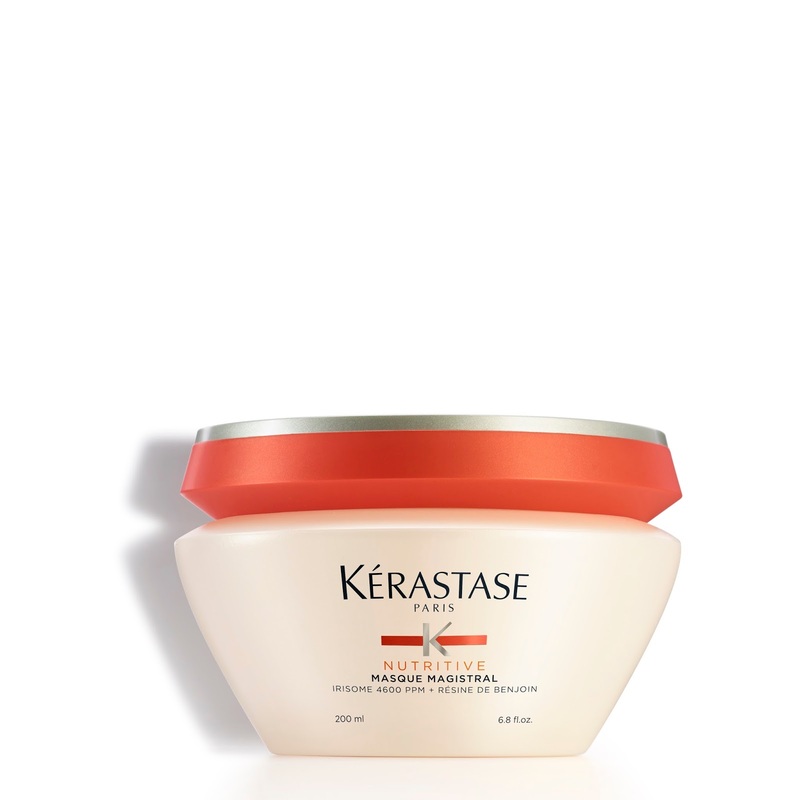 A haircare brand that has long treated hair with the same reverance as the skin, it comes as no surprise that Kérastase Paris has long created specific solutions to all manner hair issues. I recently updated my own hair “prescription” to an all- Kérastase Paris that consists of products cherry-picked from across their collections and by golly, it has transformed my locks with its high performance exactitude! The latest Kérastase Paris to hit New Zealand salons is Nutritive Magistral, specifically created for hair that is brittle, lacklustre, a downright hot mess. These are just some of the words that come to mind when we think about severely damaged hair, which over the summer months could be yours. Since 1979, the iconic, dry hair expert Kérastase Nutritive has stood the test of time, pioneering excellence to keep hair nourished and radiant. It was one of the first salon-only products I used after I began stripping the hell out of my hair during my “blonde years”, and was an absolute lifesaver at the time. Fast forward to 2016 and to meet the haircare needs of those who seek something a little extra, Kérastase has revealed the most durable nourishment yet. Combining the power of Kérastase advanced research and the science of dry hair, the Nutritive collection expands to introduce Nutritive Magistral for severely dry hair. Hair dryness results from alterations to the surface of the hair. Due to natural reasons or exposure to external aggressors, the hair cuticle scales become raised, producing the rough feel and a dull, lifeless look. The driest of hair requires extra-special care, and the Nutritive Magistral at-home ritual has been created to really give your hairback its long lost bounce, making it more manageable along the way. The collection comprises Bain, Fondant, Masque and Crème variants, each offering restoring shine and suppleness from within defpending on your needs. An offspring of the original Nutritive Irisome formula, Magistral is at the highest Nutritive concentration yet (4600 ppm), also enriched with gluco active, ceramic and xylose resin from the benzoin tree to replenish the nutrients in the hair. The Nutritive Magistral collection also sees the introduction of a complete package redesign. To support L’Oréal’s goal of Sustainability by 2020 the renovated packaging is lighter, with a new cap designed to save an estimated 45 tons of plastic per year – which gets the big tick from me. The new packaging is to be mirrored throughout all other Kérastase collections too – exciting stuff. If the Kérastase Paris Nutritive Magistral collection sounds like a bit of you over the coming months – and beyond – then pop into a Kérastase salon near you to update your own prescription. I’ve always been cursed with dark under eye circles, which I think are at least 80 per cent genetic. I had them even as a toddler - which is well before I started burning the candle at both ends – and as a teenager suffered the fools gladly who asked if someone had bopped me one carefully in each eye. Add genuine tiredness to the mix and I’m reaching for quite literally anything to help cancel them out. They can be covered up with the right concealer, but I’m always on the hunt for a great eye cream that will treat my dark circles as well as the early signs of ageing such as fine lines, crêpiness and the like. This has always been quite elusive, perhaps until now. 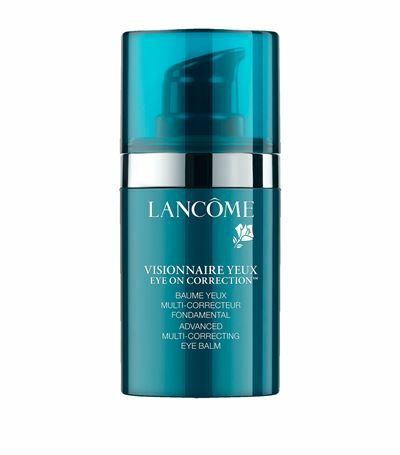 The product that has been winning me over of late and just may be the answer to my prayers is Lancôme’s Visionnaire Yeux - Eye On Correction Advanced Multi-Correcting Eye Balm (a bit of a mouthful I know, but bear with me). 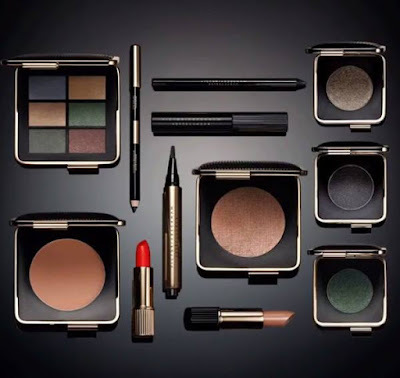 Given that Lancôme's original Visionnaire facial product was such a hit, I knew it wouldn't be long before they launched a serious new eye-area counterpart, and here it is. The first 3-in-1 eye cream with the power of Jasmonates (a small group of related molecules derived from linolenic acid), it targets all manner of eye contour-related issue like wrinkles, dark circles and bags with aplomb. In less than a minute, the area around your eyes are actually optically whitened and given a delicately “rested” appearance no matter how many hours you’ve had your head on the pillow. And, over time it has truly amazing corrective properties to boot. 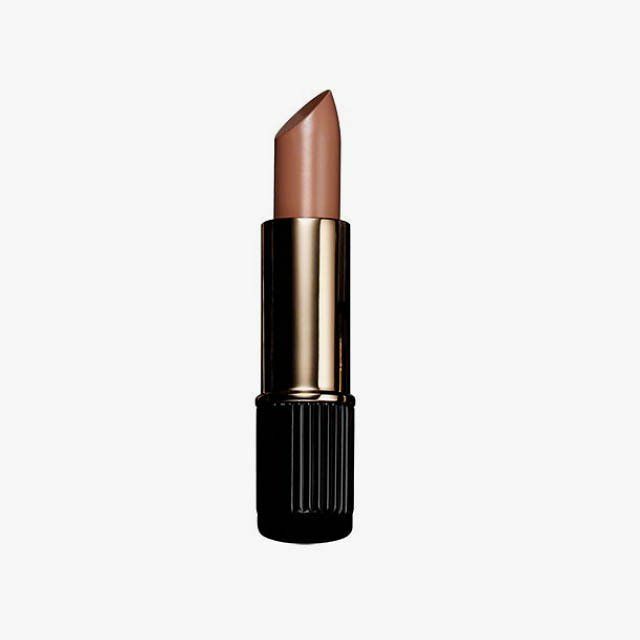 The product contains key technologies like Lancôme’s legendary hydra blur technology (think silky powders and soft focus agents), the aforementioned Jasmonate and caffeine, which work together as quite the clever cocktail. This means it works by diminishing the appearance of dark circles, smoothing out eye wrinkles and refining the look and texture of the eye contour over time – magic! Also a super cooling eye balm that feels amazing when you smooth it on in the morning, its lightweight texture blends seamlessly into the skin, targeting fine lines, evening skin tone and reducing the appearance of bags and dark circles. Makeup application over the top is a breeze, especially given that hardly any is needed after this little magic balm smoothes everything out. So, there you have it. Amazing. 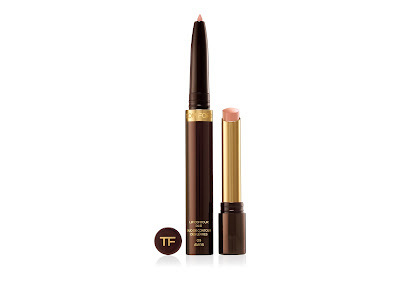 And don’t just take my word for it – this baby lands on counter on Monday (RRP $118.00) so get there to a Lancôme expert and try it out for yourself.